Trent calls the current NWN:EE renderer rewrite “a reimagining of the renderer”. 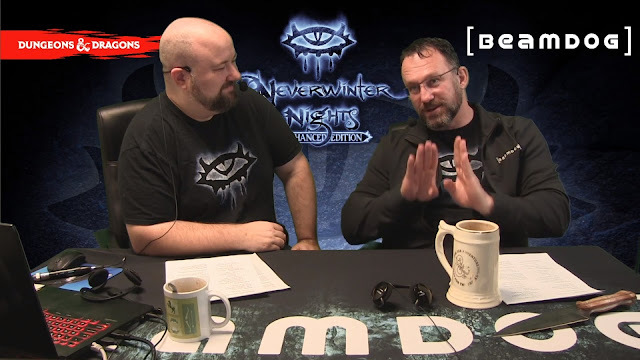 Today Beamdog CEO Trent Oster and Producer Luke Rideout shared the latest Neverwinter Nights: Enhanced Edition and studio news, talked about the NWN:EE Android Beta, and chatted with Grumpycat, a DM on the popular NWN:EE persistent world Arelith, about her experiences as a longtime Neverwinter Nights player and DM. It’s Black Friday, and all our titles and DLC are on sale on Beamdog.com and Steam! Enjoy these fantastic deals: 66% off Neverwinter Nights: Enhanced Edition and up to 75% off NWN:EE DLC! All the Infinity Engine titles and DLC are at 50% off! Vote for us in the 2018 Steam Awards! We’d love to see nominations for Labor of Love and Best Developer! The Black Friday sale is live on GOG as well! Get our Enhanced Edition titles and DLC at up to 75% off! Want to be the first to learn about our sales, news, and more? Sign up for our newsletter! Embark on your new adventure! We're hiring, and looking for a Web Developer, Programmer, Lead Programmer, Technical Artist, and Network System Admin! The Neverwinter Nights: Enhanced Edition Android Beta was updated this week to allow cross play between desktop and mobile. Got the beta? Jump into a persistent world and let us know what your experience is like in our survey and the Beamdog forums! The sooner we get responses to the survey, the sooner we can get to your feature requests. Please try to get the survey filled in before we close the Beta. We might keep the survey open for a short period after launch, but not long. Patch 1.78 for Neverwinter Nights: Enhanced Edition was released this week in the Beamdog Client, Steam, and GOG. This patch contains client & server changes and new features like NWSync, allowing auto-downloading for NWN:EE server content data. The 2.6 patch for Baldur’s Gate: Enhanced Edition, Baldur’s Gate II: Enhanced Edition, Baldur’s Gate: Siege of Dragonspear, and Icewind Dale: Enhanced Edition is still awhile away. According to Trent, we’re waiting on a process issue. 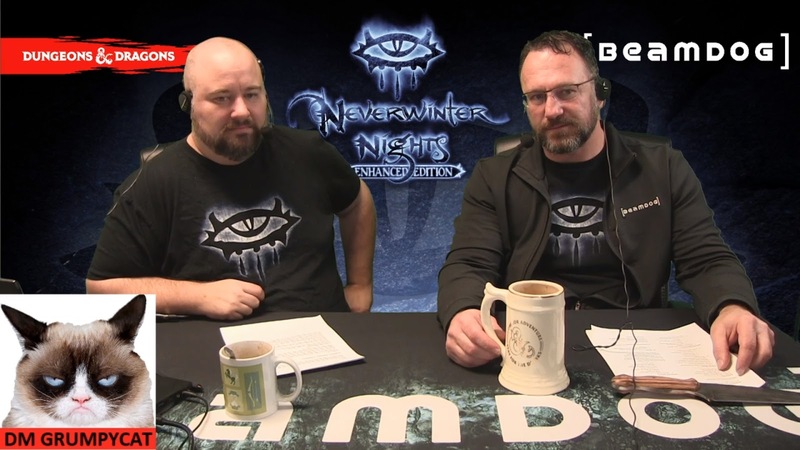 We got a first look at the updated renderer for Neverwinter Nights: Enhanced Edition this week, and there are very interesting things coming down the line for NWN:EE. The first priority for any graphics engine improvements on Neverwinter Nights: Enhanced Edition is the new renderer, as it very likely will have a big, positive impact on things like replacement for the PLT format, or 2da editing. This is a complete overhaul of the renderer, and it will allow for multiple rendering paths (for PC and mobile). One part of the rendering update is 3D. Toolset updates are currently being looked at and prioritized, but are contingent in part on the rendering update. On the topic of server monetization for Neverwinter Nights: Enhanced Edition servers, we adhere to the WotC Fan Content policy, which means that you can create and distribute content as long as it’s free. You cannot require payments, subscriptions, or otherwise gate your content. Read the terms of the WotC Fan Content policy here. Currently we don’t have a way to automatically synchronize your NWN:EE saves between platforms, as they don’t share a cloud service. We have started to look at what needs to be done to bring keyholing (currently available in the Android Beta of Neverwinter Nights: Enhanced Edition) to the PC version. We don’t want to completely remove tile fade as we’d like both systems to co-exist. We have plans to bring back the game type filter in the server browser for Neverwinter Nights: Enhanced Edition. DM GrumpyCat has been DMing for about four years on the popular persistent world Arelith and playing Neverwinter Nights for around eleven years. At first, she was afraid of becoming a DM, but picked up very fast. There are differences in being a tabletop DM and online: instead of 4-6 people, on a persistent world there can be around 200 players, and a DM has to keep in mind interests and desires of all of them. 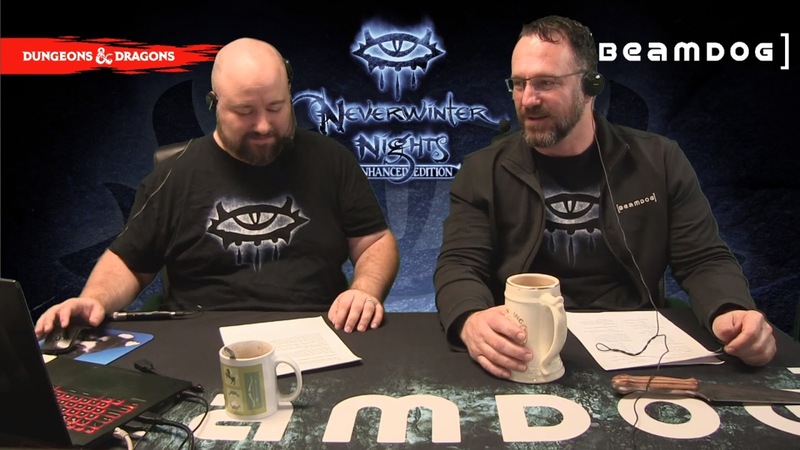 According to DM GrumpyCat, Neverwinter Nights is unique. On a persistent world she can start a story, disappear for some time, and then find all the spin off stories created by player collaboration. If you’re a DM, let us know on the forums about your wishes and feature requests for the DM interface in Neverwinter Nights: Enhanced Edition. Something tells me you've heard this question a million times. Try as I may, I can't know if that's true so... Are there any thoughts of doing Neverwinter Nights 2 Enhanced Edition?